According to hope theory, hope reflects individuals’ perceptions regarding their ability to clearly conceptualize their goals, develop the specific strategies to reach those goals (i.e., pathways thinking), and initiate and sustain the activities in support of those strategies (i.e., agency thinking). According to hope theory, a goal can be anything that an individual desires to experience, create, obtain, accomplish, or become. A goal may be related to grades in school or activities outside of school, but the important thing is that the goal has value to the individual. Why is it Important in School? Hope can benefit students during their time in school as well as in other parts of their lives. For example, higher-hope students not only set more challenging school-related goals for themselves than lower-hope students, but tend to perceive that they will be more successful at attaining these goals even if they do not experience immediate success (i.e., resilience, positive self-beliefs). Individuals with higher hope also perform better in college. For example, hope scores can predict final grades in a college class even after taking into account the grades on the first exam in the class. In addition, hope scores can predict college grade point averages even after controlling for entrance examination scores on the ACT. In other words, for students of relatively equal ability, the higher hope students will have a greater chance of success in college.  In another study, 57% of the higher-hope individuals had graduated from college after six years, while only 40% of the lower-hope individuals had graduated, and 25% of the lower-hope individuals were dismissed because of poor grades, while only 7% of higher-hope individuals had been dismissed. Higher levels of hope, in this case, can be equated with persistence. Outside of school, individuals with higher hope report more optimism about life, more physical health, more self esteem, and greater levels of happiness, as well as less depression and hopelessness. Engagement refers to the student’s behavior and attitudes in school. Being behaviorally engaged, for example, means that a student works hard, concentrates, and pays attention. When a student is not behaviorally engaged, they are bored, distracted, and doing just enough to get by. Being emotionally engaged means that a student enjoys being in school and learning new things, whereas an emotionally disengaged student feels worried or discouraged and believes that school is not a fun place to be. The quality of a student’s engagement in school is a reflection of the amount of effort and persistence they put into their learning. If a student is not engaged, then they will likely not be able to complete their work on time and will not achieve to their potential. An engaged learner, however, will attack their schoolwork with passion and will regularly achieve solid or outstanding results. The quality of the learning is also superior in that an engaged learner will obtain a deeper understanding of the material and retain the knowledge for a longer period of time. Academic press is a consistently high expectation on the part of the teachers that students will do their best work. The emphasis is on a press for understanding, rather than a press for performance, which can be detrimental to student achievement. In other words, it is important to maintain a task or mastery goal orientation while pressing for student understanding, which emphasizes deep understanding, rather than lapsing into a performance goal orientation, in which students are pressed simply to obtain a high grade. School environments high in academic press have been found to encourage more effective student learning strategies and greater levels of student achievement. If a task or mastery goal orientation also exists, then the impact of a press for understanding can contribute to student achievement over and above goal orientation. A goal orientation represents the reasons behind a student’s effort to achieve. A “learning” or “mastery” or “task” goal orientation represents a desire to achieve purely for the purpose of obtaining knowledge and increasing skills. In contrast, a “performance” goal orientation represents the desire to succeed in comparison to others, and thus the purpose of all activity in the classroom is not the enjoyment of learning or to satisfy personal interest but to demonstrate superiority or avoid the appearance of failure. Students with task goal orientations seek challenges and show persistence in the face of adversity, use more effective learning strategies and have more positive attitudes, and are more cognitively engaged in learning. A task goal orientation is very much internal to the student, without need for external comparisons, and as a consequence has been linked to higher levels of motivation and, in turn, academic achievement. Students with a performance goal orientation seek to avoid challenge and, in the face of failure, attribute their results to lack of ability and exhibit a “learned helplessness” response (i.e. negative affect, strategy deterioration and disengagement). As a result, performance goal orientation leads to reduced motivation and academic achievement. Belongingness (sometimes referred to as “relatedness”) is a measure of the depth and quality of the interpersonal relationships in an individual’s life. The need to belong, or the need to form strong, mutually supportive relationships and to maintain these relationships through regular contact, is a fundamental human motivation that can affect emotional patterns and cognitive processes. Supportive relationships can serve to buffer the impact of stressful life events, leading to superior adjustment and well-being. Both peer relations and teacher-student relationships are vital to maintaining high levels of motivation and engagement in school. Positive peer relations in the school setting can refer to either the number of supportive, intimate friendships maintained by a student, or to general popularity among the wider peer group, which leads to a sense of being accepted and respected at school. Both types of positive peer relations have been found to influence school competence, involvement in the classroom, and academic achievement. Positive teacher-student relationships are also important in that they can enhance student motivation, engagement, coping with failure, and achievement. In contrast, socially rejected students show lower levels of engagement, have higher levels of academic and behavioral problems, and can be at significant risk of dropping out of school and eventually running afoul of the law. In the school setting, socially rejected students are defined as those children nominated by others in the classroom as being someone who, for example, is “liked least” or “fights a lot”. In addition to social rejection, friendships with negative features (i.e., regular conflict, rivalry) can predict poorer school adjustment and more disruptive behavior. Belongingness also has a profound impact on adolescent mental health and well-being. Intimate, supportive adolescent friendships can enhance adjustment, perceived competence, and self-esteem, as well as reduce emotional distress and suicide ideation and lead to lower levels of involvement in high-risk behaviors, including violence, drug use and teenage pregnancy. Children with low levels of perceived friendship support are at a higher risk for depression than children who report supportive friendships. Belongingness becomes especially important to well-being as children enter adolescence. During this phase, the ability to establish and maintain positive peer relations is linked to higher levels of sociability, perceived competence and self-esteem, and reduced hostility, anxiousness and depression. Autonomy refers to the opportunity for self-management and choice. Erik Erikson believed that the need for autonomy is innate in all human beings and that a frustration of this need during childhood or adolescence would lead to maladaptive behavior and neurosis. Subsequently, Richard deCharms argued that all humans strive for “personal causation”, or in other words, to be the origin of their own behaviors. According to deCharms, when an individual is able to make decisions regarding things that affect them, that person is said to have an internal locus of causality. An individual acting under direction from another person has an external locus of causality. He hypothesized that an internal locus of causality would lead to stronger motivation and greater engagement. Richard Steinberg has emphasized adolescence as a time where the need for autonomy, particularly from parents and teachers, is particularly strong. Motivation in school is higher when a classroom situation is perceived as supportive of the need for autonomy, or, in other words, acknowledges the student’s personal point of view and conveys choice in satisfying requirements. High-autonomy situations stimulate student motivation, engagement, and persistence, which in turn results in higher levels of achievement and lower dropout rates. In contrast, a controlling approach in the classroom creates a reduced perception of autonomy, which can interfere with student learning and creativity, especially with regards to more complex tasks. Autonomy has also been found to be essential to healthy psychological development. Less autonomy is associated with higher levels of anxiety and negative coping strategies, whereas higher levels of autonomy are associated with positive coping strategies. Lack of autonomy in childhood and adolescence can lead to various forms of psychopathology and increased participation in high-risk behaviors.